Hours after US Defence Secretary James Mattis and NATO Secretary General Jens Stoltenberg arrived unannounced in Afghanistan for a surprise visit, an unconfirmed number of rockets rained down on the military wing of the Kabul International Airport, media reports claimed. 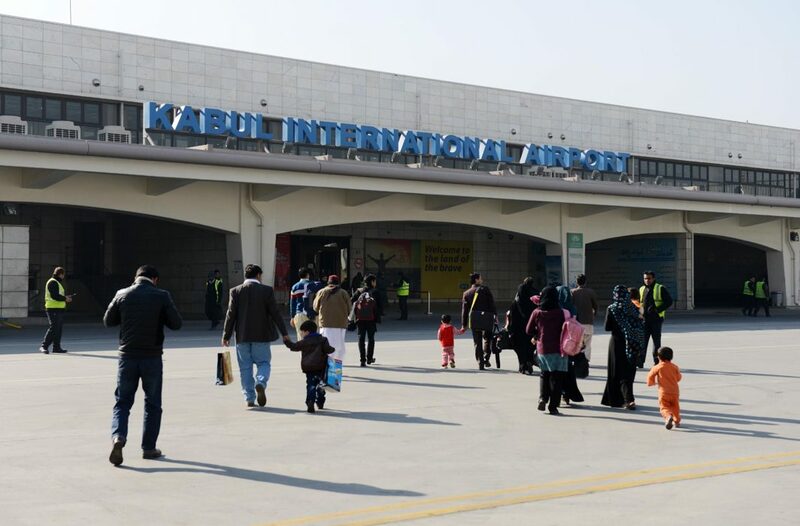 The airport has been evacuated and local media agencies in Kabul have given different accounts of the number of people injured in the strikes, while some networks have also claimed that no casualties have been reported. Afghan television news channel TOLO News claimed that at least 20 to 30 rockets were fired at the Kabul International airport on Wednesday afternoon and that the Taliban had staked responsibility for the attacks. However, news agency Reuters, while maintaining that 20-30 rockets had landed at the airport said that the Islamic State had taken responsibility for the strikes and quoted the global terror outfit’s news agency Amaq as saying that SPG-9 rockets and mortars were used for the attack. Reuters said that US Defence Secretary James Mattis was the target of the attacks. Earlier in the day, NATO mission in Afghanistan posted on its official Twitter account that Mattis and Stoltenberg had arrived at the NATO headquarters in Kabul. The duo met the international troops posted in Afghanistan and met the country’s President Ashraf Ghani along with other high-ranking members of his government. This is the first visit of a member of US President Donald Trump’s administration to Afghanistan since the Trump announced his new Afghan policy on August 21which envisaged an increase in the number of troops deployed in the country and no planned withdrawal date. The Pentagon expects to increase deployment of US troops in Afghanistan by about 3,000 soldiers. The conflict in Afghanistan – which has lasted for almost 16 years and is the longest war in US history – currently involves around 11,000 American troops fighting amidst a resurgence of violence and a strong Taliban presence in the country.